The successor to the almighty C64! 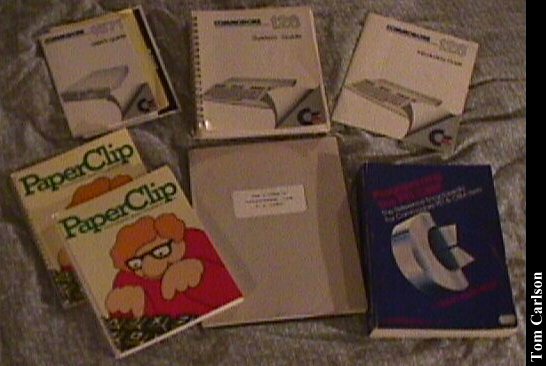 The C128 was three, three, three computers in one. First and formost, it was the 128. Basically a souped-up C64, in 128 mode, you had twice as much memory with which to play. You also had an extended BASIC and 80 columns of 16 color text. (The 80 column colored text required a real monitor. Composite monitors didn't cut it. 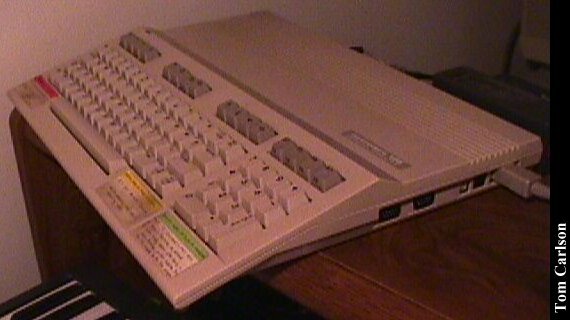 The C128 did have a cable to feed 80 column text to a composite monitor, but the text was monochrome, fuzzy and hard to read. You could also run it in 128 mode but with just 40 columns.) 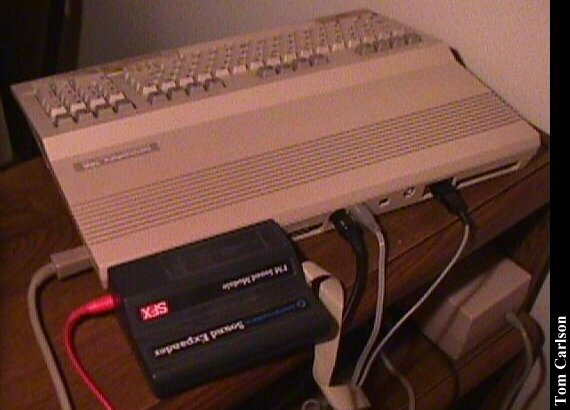 The second mode was a C64 emulation mode. Entering C64 mode really did make your 128 a C64. Everything for the C64 worked! (Even my MIDI keyboard cartridge works great!) The third mode was a CP/M mode. You could run CP/M in either 40 or 80 column mode. Of course, you need a CP/M boot disk to do this. 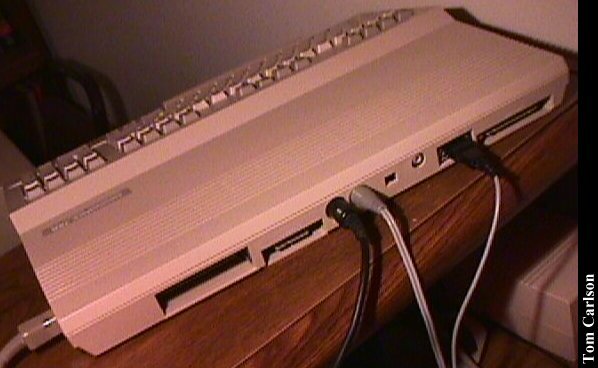 I think the C128 came with one, but, in a pinch, I've been able to boot it using my Superbrain CP/M disks. In my opinion, all this makes the C128 the ultimate computer at the time. Why didn't it do better in the market? Well, it was expensive for one. (Since it had two computers in it.) Second, Commodore, as usual, couldn't sell water in the dessert. 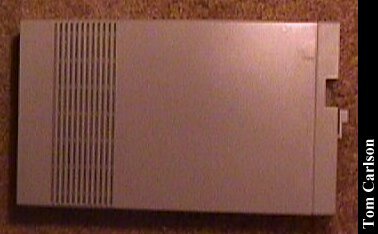 Third, the 1571 drive, while loads faster than the old 1541, was still an inherently slow serial device. 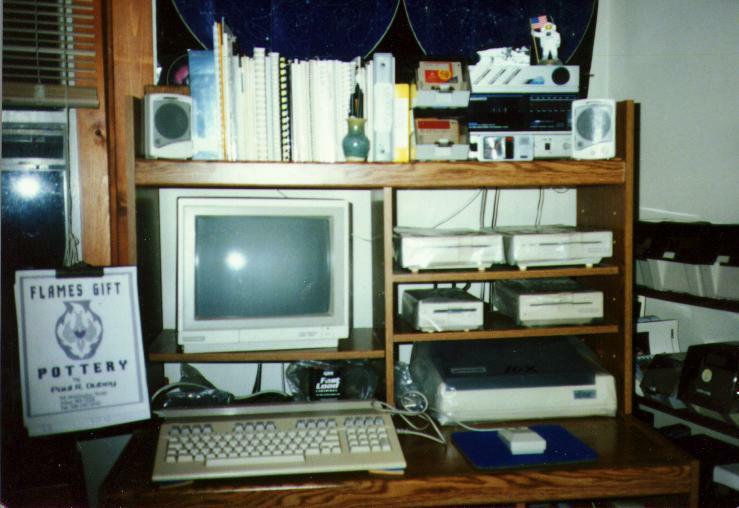 Here's a shot of clayhans' loaded system, consisting of a with 1541 II, two 1571 and a 1581 drive, 1902A monitor, Gemini-10x printer and many other connection that you can't see in the photo except the Commodore mouse. Click here to view all comments for the Commodore C128 and to leave your own.